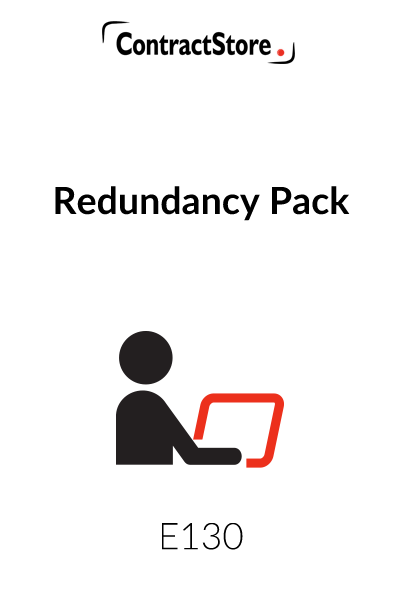 This Redundancy Pack will assist employers in conducting small scale redundancies of between 1-5 employees. 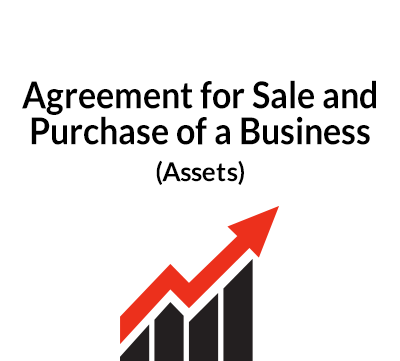 This is an English Law Edition. 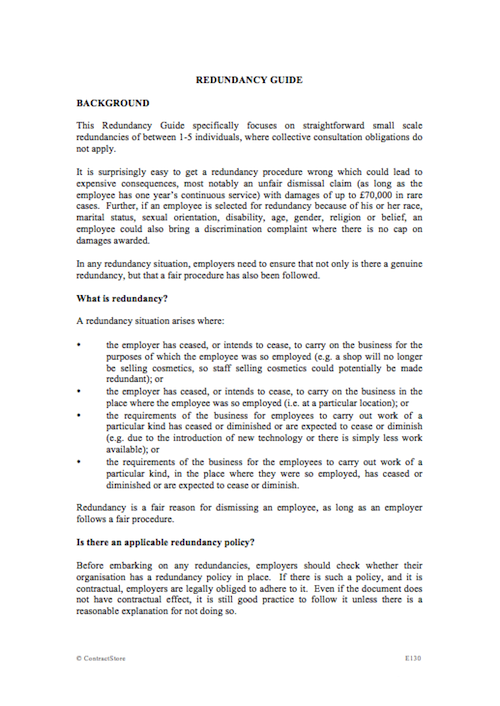 The Redundancy Guide focuses on straightforward small scale redundancies of between 1-5 individuals, where collective consultation obligations do not apply. It is surprisingly easy to get a redundancy procedure wrong which could lead to expensive consequences, most notably an unfair dismissal claim (as long as the employee has one year’s continuous service) with damages of more than £70,000 in rare cases. 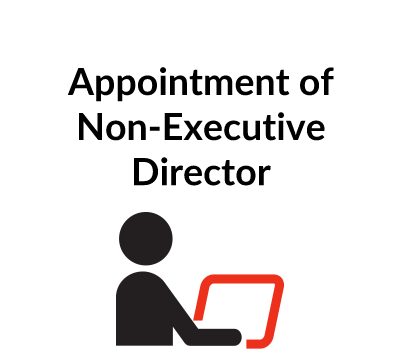 Further, if an employee is selected for redundancy because of his or her race, marital status, sexual orientation, disability, age, gender, religion or belief, an employee could also bring a discrimination complaint where there is no cap on damages awarded. In any redundancy situation, employers need to ensure that not only is there a genuine redundancy, but that a fair procedure has also been followed. Our Guide on Redundancy helps you through this process.